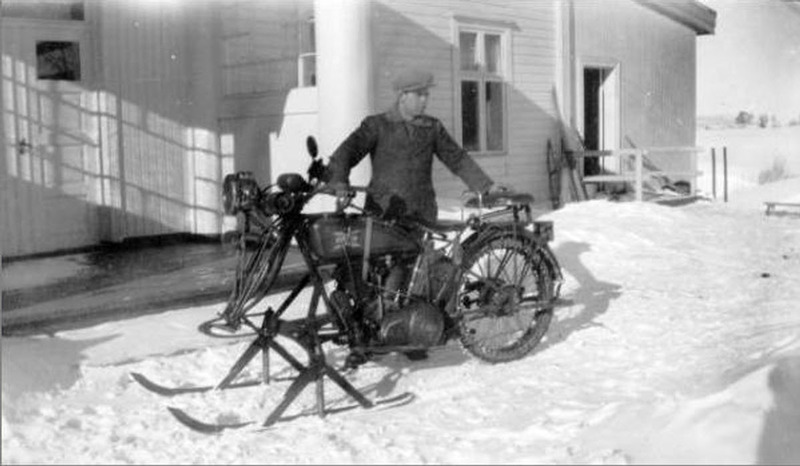 This Excelsior is fitted with a ski setup at front for winter use. I think this is a kit made by Ing. Hansen? This ski application where sold to many motorcycle owners in those early years of motorcycling.